Gongmin comes in with heavy footsteps and asks, “What have you been doing here?” Young can only reply, “I’ve just been sitting.” He knows how guilty Gongmin feels and he can’t add to that guilt. He can see it in Gongmin’s eyes and his heart wells with pride at the king he chose to serve- a king capable of empathy. But the same heart is burdened by his own shame; for the death of his men was not the king’s fault but his. Gongmin swallows hard as his heart breaks for his most trusted servant and friend. He knows how much he has asked of Young- asking Young to give up his peace to protect him, fight for him, and even die for him. Young states in an unfaltering voice. “That person was always first.” In response, Gongmin’s face hardens with hurt and disappointment. “That person was always first.”- Oh, how this phrase has haunted me all week. My heart wept for Gongmin as he quickly left Young’s room in denial after hearing the answer to the question he had asked him in his most vulnerable moment. 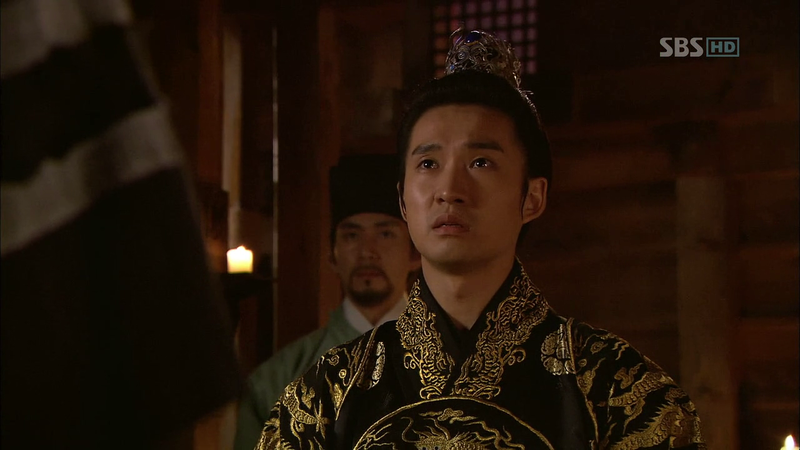 He had confessed to Young how tempted he was to just hand over Eun-soo to Ki Chul so that all the battles can end. He had fought so hard to be different from the kings that preceded him but Deok Heung’s simple comment on how Gongmin was copying Deok Heung’s father brought back his fears and doubts. He had asked Young if he chose him because of Eun-soo and Young had replied, “Is the order important?” He knew Young chose him because Young trusted him to keep his promise to protect Eun-soo and he knew that Young would leave him if he didn’t honor his word. He already knew Young’s answer somewhere deep in his heart but to hear it out loud and with such finality, it must have shaken Gongmin very deeply. “That person was always first.”- This phrase marks the end of the journey of Young’s heart. Young protected Eun-soo initially out of duty. He swore an oath to send her back to her world and he needed her safe and alive to fulfill that oath. In order to do that, he remained with Gongmin to help him grow stronger and fight Ki Chul. In the process of fighting off the threats to Eun-soo, he came to understand and love Gongmin and he chose to serve him for his own merits. At the same time, however, Young began to love Eun-soo and his mission to send her back transformed from an oath of words and honor (i.e his life) to an oath of his heart. “That person was always first.”- Why did I ever doubt it? Even in the beginning when Young didn’t love Eun-soo, he ran to find her instead of staying at the inn to guard Gongmin and Noguk at the Yuan border. After Eun-soo saved his life, he ran to Ki Chul’s house to rescue her when Gongmin allowed Ki Chul to take Eun-soo. 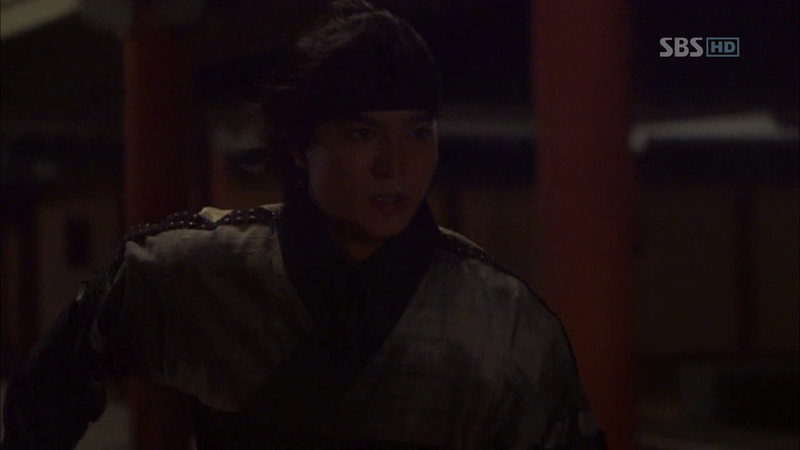 After Gongmin asked Young in prison to teach him how to fight against Ki Chul, the first thing Young wanted to know was if Eun-soo was safe. He needed to know she was before he could fully become Gongmin’s person. 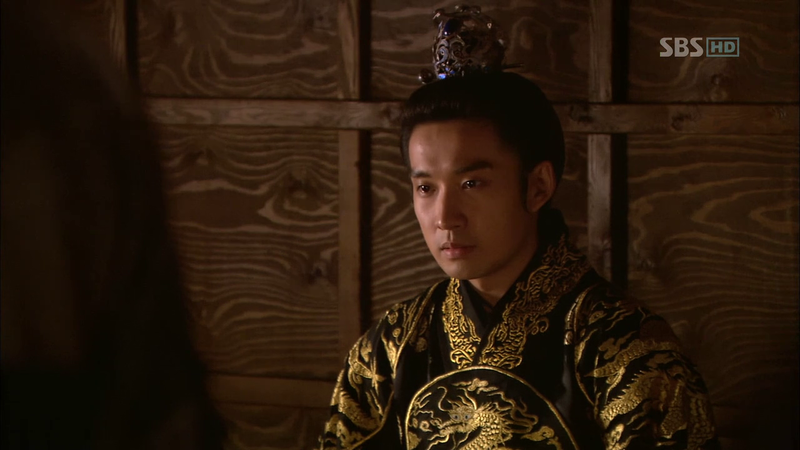 He let Eun-soo go even when he knew she would be useful to Gongmin in gathering the scholars. 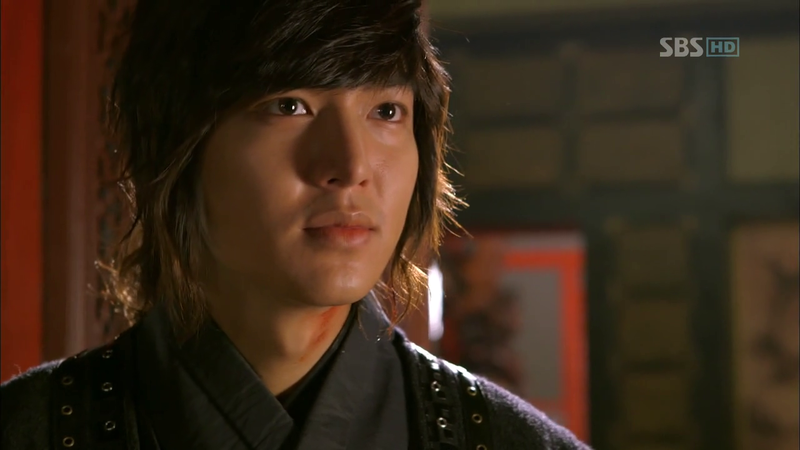 He was ready to die to protect the scholars so Eun-soo could be free to leave. He even stole the royal seal and gave it to Deok Heung- the person trying to take Gongmin’s throne- so he can get the antidote for her. Eun-soo was always first for Young. Always. “That person was always first.”- This phrase marks the end of the journey of Young’s heart. 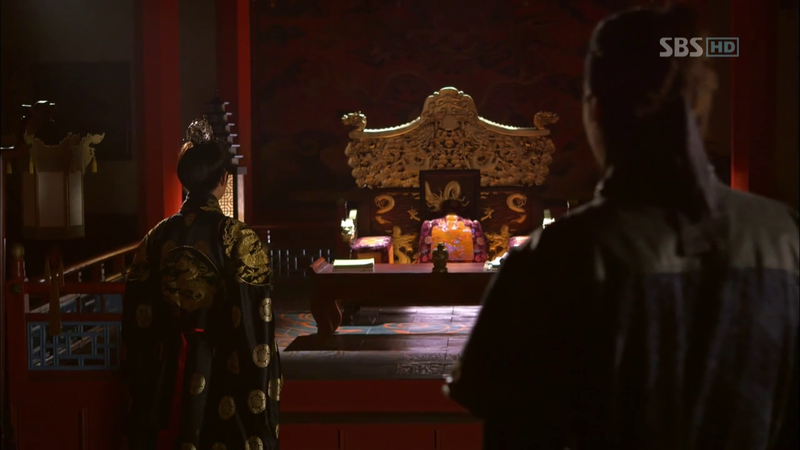 I describe it as the the end because Young has been lucky so far that protecting Eun-soo meant he needed to help Gongmin become a better king. Young fought desperately throughout the whole drama to save both Gongmin and Eun-soo, his heart divided by loyalty to his country and his love for a woman. My heart weeps for how hard this must have been on Young; how much he must have doubted himself and trembled when he walked away from Deok Heung to go to the palace or sat in prison while his men fought to protect their king. Young’s answer to Gongmin reveals to me that now, Young’s heart is one. 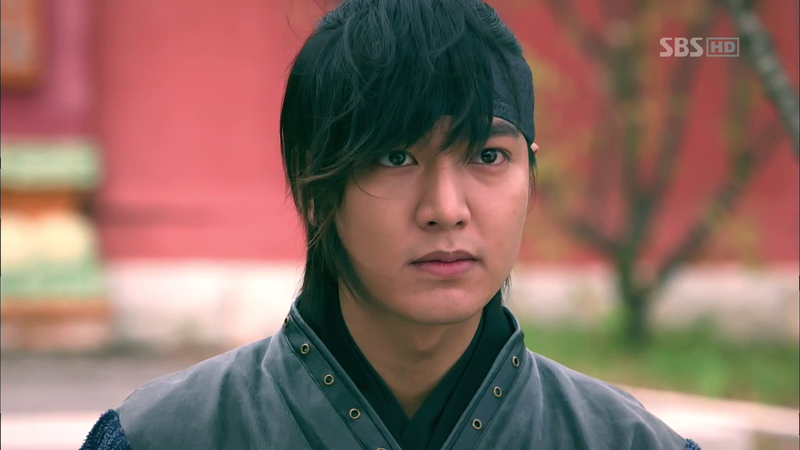 Young will choose Eun-soo no matter what, even when there is no other way to save Gongmin too. “That person was always first.”- How powerful is that statement? Young says this to his king and friend without any hesitation and with a certainty that cuts the air with its significance. 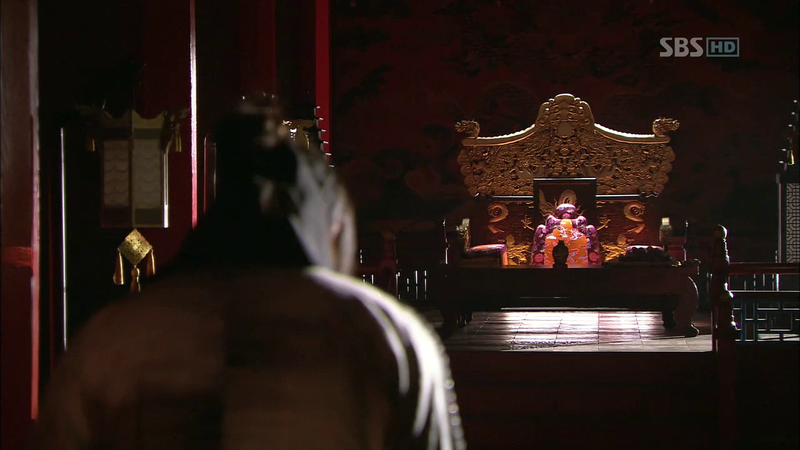 Young is a warrior who has just told his king that he puts love before loyalty to his country. It disavows everything that Young has sworn and lived his whole life for. But Young…our dear Young. Even if he said that Eun-soo was and always will be first, I know that he would give up his own life before he let Gongmin fall in danger. That’s why he asked Gongmin to let him go because he doesn’t want to have to make the decision again to save either Eun-soo or Gongmin. He learned a hard lesson through the death of his men and that guilt will always tinge whatever decision he makes. That guilt will make it harder and harder for Young to put Eun-soo above country. He asked Gongmin to let him go so he doesn’t have to make that choice but Gongmin doesn’t let Young go, not allowing him to give up being a warrior. Yet, I think Gongmin will let Young go soon. Noguk, our wonderful Noguk, showed him what it means to follow the heart, that home is where the heart is. 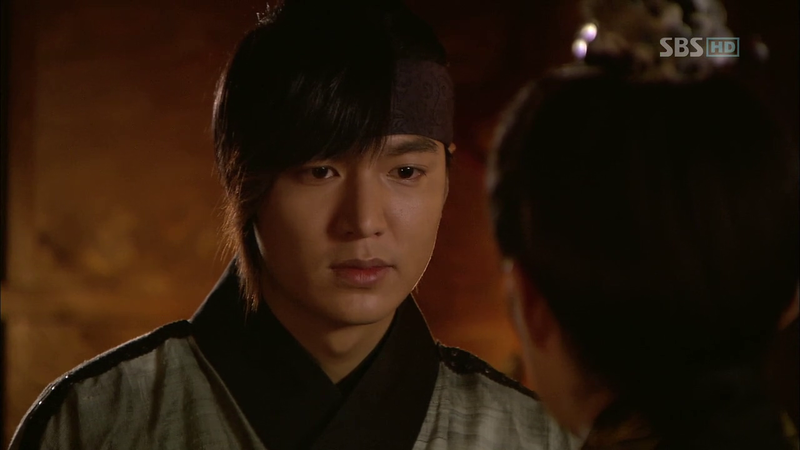 When Young asked Gongmin to give up the royal seal so he can save Eun-soo, Gongmin couldn’t believe that Young would ask him such a thing for a mere woman. So Young asked Gongmin, “Don’t know you know why we need a king?” Yes, I think Gongmin knows why now- to allow his citizens to love and live in peace so that they can build a home around where their heart lies. ladyeury…. I envy you to the max for being able to watch episode 19 *aka my most anticipated episode ever so far* live from the TV. While me here in cold and windy and rainy Amsterdam must wait for another 24 hour to watch it… OMG, I wish I were you now…. Beautiful and insightful as always,Joonni. Thank you so much. She always comes first. The quiet, emphatic way Young said it… all doubts, confusion, hesitation are laid to rest. There is no doubt where Young’s heart is. Be it for love or duty… Young’s warrior heart is just that. He fulfils every promise he makes. This is the best love story from man to woman in a k-drama,I dare say. So raw, so organic. So pure, so unadulterated. So uncomplicated,so selfless. And yes, so pure. Despite being surrounded by all kinds of evil and political conflict, Young manages to stay true to his feelings all the time, like a solid,unmovable rock. He remains grounded, unshaken, unbroken… and still manages to rise above all that.. a ruthless warrior.with that pure, pure heart and all that love intact. All because of his love for that one woman. A love so simple, yet the greatest ever. 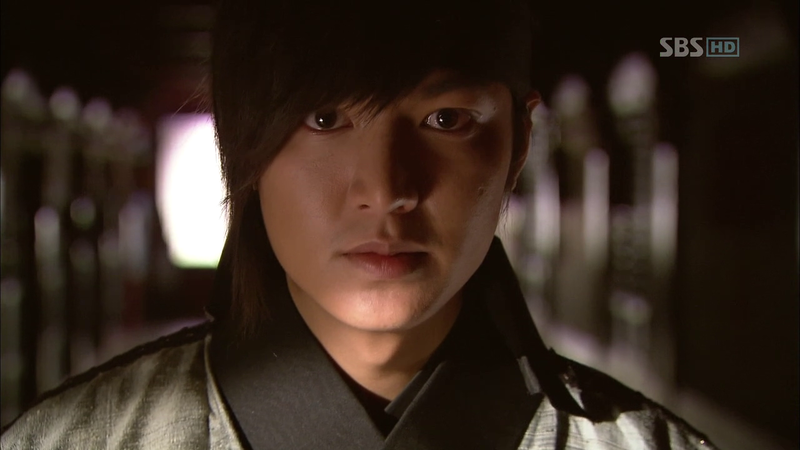 Kudos to the writer for creating such a heartfelt character and story….and kudos to LMH for playing it out so achingly beautifully.Those eyes of his…. 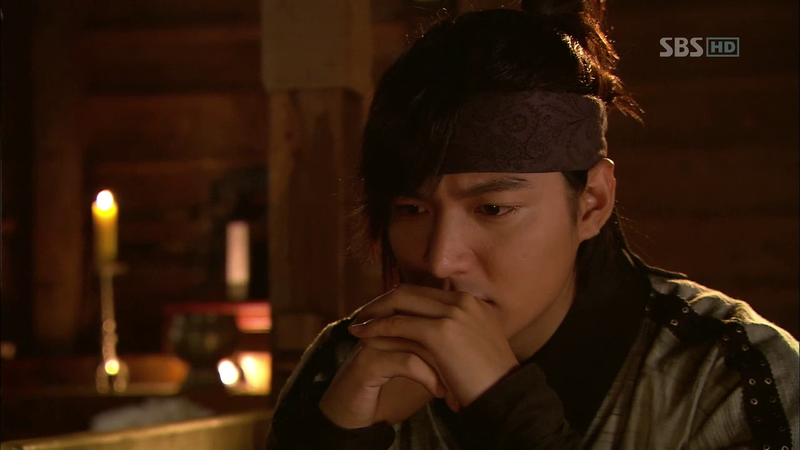 Eun Soo is his love and his country…Joonni….you’re gonna be the death of me…a total tear-jerking statement… but it totally sums up Young’s warrior heart. I got a ghosebumps here. Your words so true, VERY TRUE. Cannot argue anymore. The simple is the best. Just like the advise of CY’s father. From CY and ES, I learn how to love my hubby unconditionally, undoubtly, less talk and get more action. What a great lesson we able grab form a drama. 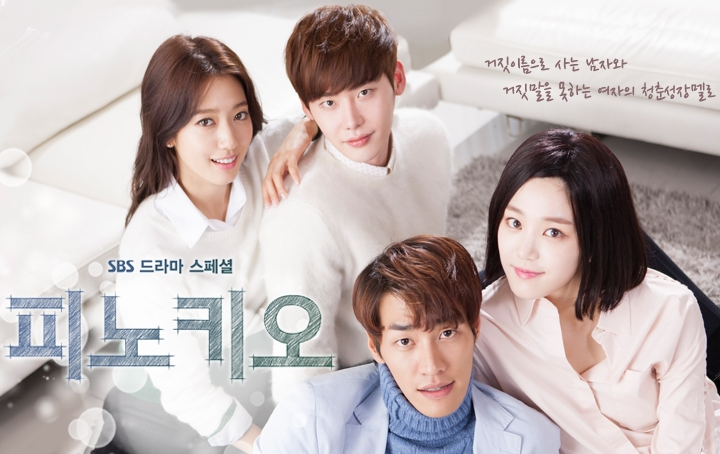 I recently just finished watching this drama. I watched it just for the sake of watching, albeit halfheartedly. I didn’t actually like the fact that the lead actress looked way older than LMH. But as I continued to watch each episode I was drawn to the story. Was drawn to how pure and selfless CY’s love for ES. And LMH conveyed those emotions so beautifully. 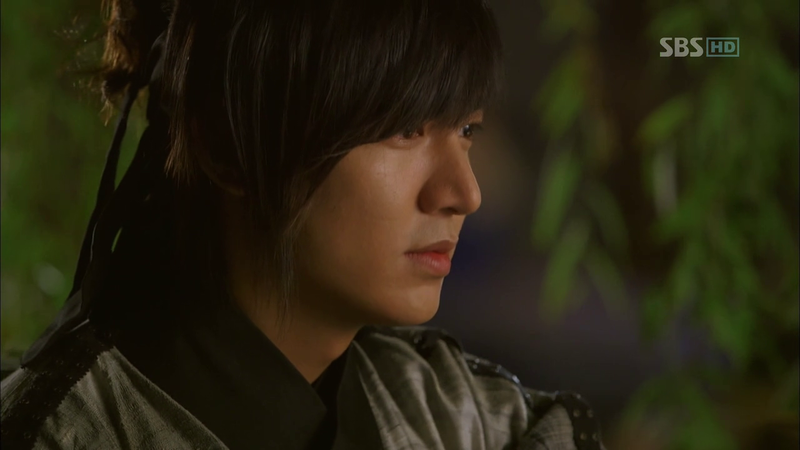 I couldn’t help but fell in love with the story and became impressed with LMH. Faith is now one of my favorite dramas. Joonni, the most beautiful post ever!!! Sometimes it is just one of these scenes in a drama that speaks volumes about emotions that a straightforward scene cannot convey. Yes, we always wait for those scenes where our OTP are together since they are few and far between (guilty of that, LOL) but the depth of CY’s love for ES is more profoundly expressed in this scene. And you have nailed it with your beautiful piece. I hope the writer of this drama gets to read your blog. I was purposely staying away from the blogs on Faith this week after Ep. 18 because my brain could not handle it anymore and the other aspects of my life were being neglected. 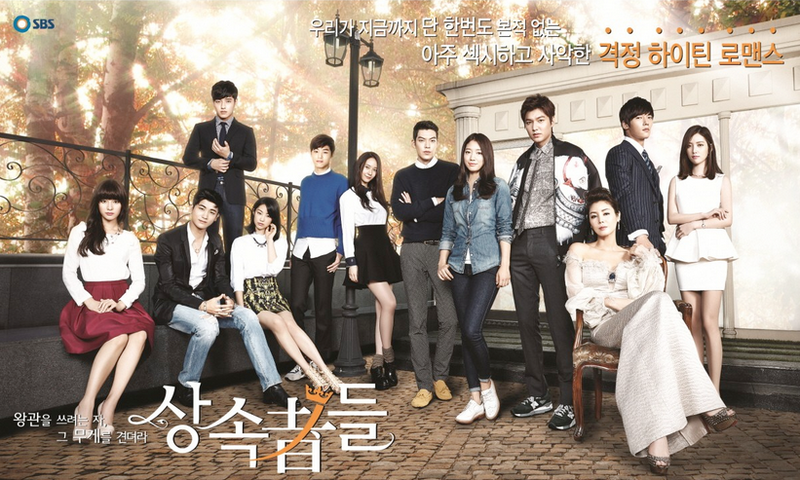 And this is just my 2nd Drama and I am totally in love with it. And I am a person who hardly watches TV or movies. Reading your blog has made me so in love with these characters I have gone totally into the deep end. Thanks for the time that you put into this beautiful and heart-wrenching piece. On another note, do you take requests? I would really like to see a piece on my favorite Woodalchi, Dae-man. He has a minor role but figures prominently in most of the important scenes of CY. In fact he is usually the recipient of CY’s internal musings. To all Faithlings-in-arms, tomorrow is a new day, err, episode 🙂 Can’t wait to go into the deep end again. I will be considering your request for a post about Dae-man. Since I usually spend a lot of time and energy on these types of posts, I can’t guarantee one but thank you for leaving me “In fact he is usually the recipient of CY’s internal musings.” It helps to get my brain juices flowing. This is really nice joonni..you were able to capture and put into words the significant meaning and symbolism of Young’s words..I’m happy but sad at the same time for him that now it’s crystal clear where his priorities lay..happy that he himself already acknowledged how much he loves Eun Soo…sad that sooner or later he has to let go of that love..I’m still hoping against hope that it won’t come to that..
I’m really glad that I was able to find this site while Faith is still airing. People here are so warm and loving of our Faith characters especially our Imja couple..Makes me really sad and teary that in 2 weeks time we will see the end of our dearly adored drama and say goodbye to the characters that we came to love and cheer for..for me, it’s only once in a blue moon that I find a drama that really has a heart and speaks volume of its characters..I will surely buy the dvd when it comes out so I can relive the poignant moments of our dear Choi Young and Eun Soo.. I know we already started this week but say three instead of two! I don’t want this drama to end.